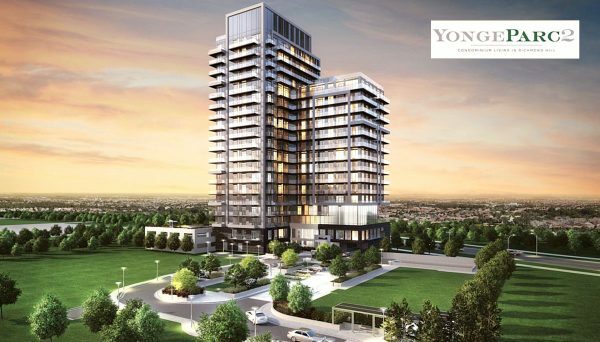 YongeParc 2 is a pre-construction condominium development proposed by the Pemberton Group for Richmond Hill. The second tower in a multi-building project, YongeParc 2 Condos is slated for an occupancy date in 2021. Hot on the heels of its sold-out sister building, this contemporary condominium will occupy a block on Red Maple Road, just northeast of Yonge Street and Highway 7. Details about height and unit count are forthcoming, but we’re expecting a contemporary tower approximately 20-storeys with about 200 dwelling units. Floorplans are likely to consist of one, two and three bedroom styles, each with modern features and finishes and private balconies. The third floor of the tower will house the building’s amenities, which are expected to include a private dining space with an elegant bar and catering kitchen, a boardroom and fitness centre with both men and women’s saunas. The same floor will house outdoor amenities too, including an expansive terrace with barbecue stations. A soaring two-storey lobby with marble columns and contemporary lighting will greet you and your guests on the first floor, while a 24-hour concierge will be available to assist with all your day-to-day-needs. Calling YongeParc 2 home means having access to all the luxuries and conveniences associated with modern condominium living. The towers in this development will be connected by landscaped pathways and a communal courtyard, providing a warm and friendly oasis, set back from the congestion of the city, yet just minutes from urban conveniences. 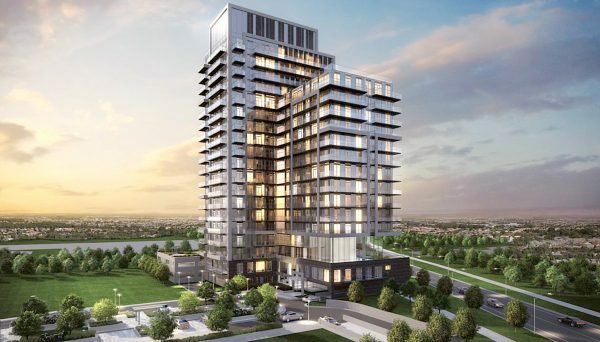 Condos in Richmond Hill present a great opportunity for those that love this friendly part of the GTA but crave a more modern condominium lifestyle. This particular location, just off Yonge Street, puts you only minutes from a wide variety of eateries and shopping, from big box stores to the nearby Hillcrest Mall and trendy restaurants like Il Fornello and Marlowe Wine Bar. You’re also close to healthcare facilities, schools, lifestyle amenities and a wealth of recreation and entertainment options. Theatres, swimming pools, golf courses and country clubs are all nearby, so you don’t have to sacrifice any of your favourite pastimes. Commuters will appreciate being close to the York Region Transit Hub, which connects you to regional transit, the TTC and both VIVA and the GO systems. Driving? Proximity to the region’s major arteries makes getting around easy for those with vehicles too. This Developer is an established name in the GTA’s real estate development industry. Over decades, they’ve made a name for themselves by building over 10,000 condominium suites in over 60 communities throughout the region. They pride themselves on quality craftsmanship, stunning amenities and lasting value for each of their projects.